Pieces that last a lifetime (or a few years at least) are pieces I like to invest in. After years of buying Topshop for each new event and later throwing them out, I’ve finally narrowed my wardrobe down to the things I will wear often and know always look good no matter the hair colour and occassion – perfect. I’ve had this gorgeous Urban Outfitters dress for about 3 years now and it just…works. Throw it over thick brown tights and you’re good for winter, or chuck a denim jacket on with bare legs and you’re ready for spring. 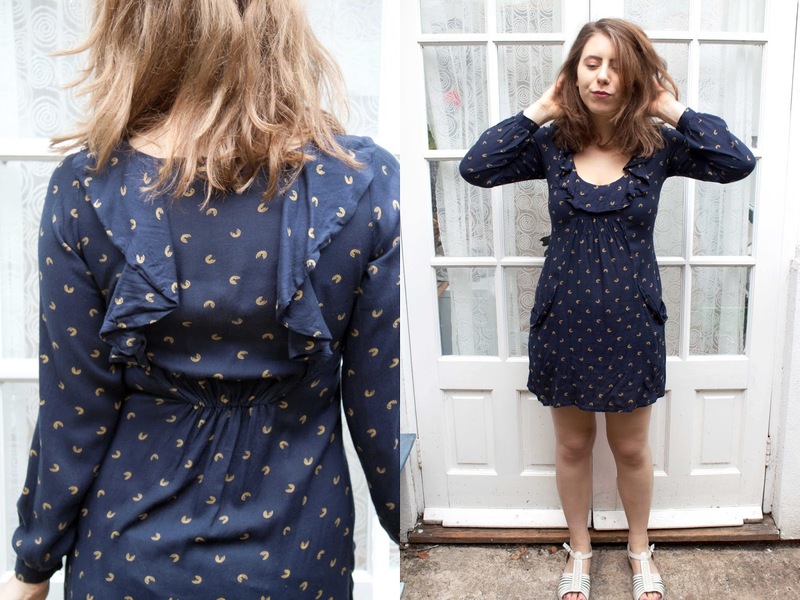 I love the little hoof/wifi pattern on the dress – I’m calling it as wifi because I’m pretty much always on the internet – and it’s got really nice detailing around the neckline and down the back which is just so different too. Ooh, and did I mention it has pockets; ooh yeah, pockets! 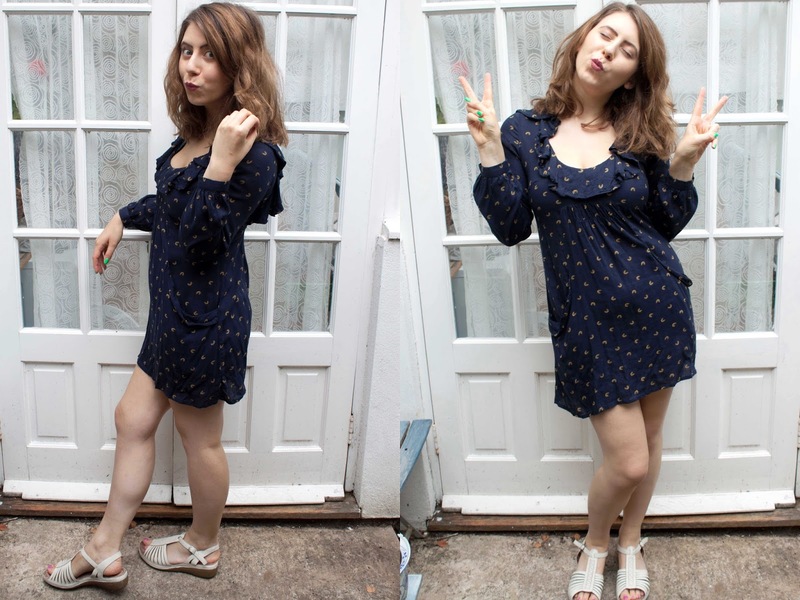 As a nice floaty dress, you can kinda rock this whenever, and it’s navy too so you can brighten it up, add some black or go all out on the blue – I love to add browns and reds for autumn which is just such a staple look in my seasonal wardrobe. Of course, the faithful Hush Puppies are out in force again – I’m not quite ready to let these go back into the box just yet and start reaching for the big warm durable boots. I’m also thinking from these photos it might be time to cut the ol’hairdo a bit shorter again, what do you think? Have you got a faithful long-standing dress? Do you like Urban Outfitters clothes?